Living is easy in this impressive, generously spacious Texas-Home. The open floor plan with high ceilings and a grand entry encompasses 3 bedrooms with plenty of room for sleep and storage while each includes their own bathroom. Enjoy entertaining in the stylish gourmet kitchen that features a large island, granite counter tops, built in stainless steel appliances and a 5 burner gas cooktop that flows into the dining room along with being open to the expansive family room that also features a courtyard. The master bedroom with its tray ceiling and large windows radiates with natural light as does the whole house and includes a large master closet off the glamorous master bath. Park Place is a brand new Texas Homes development located on Jones Maltsberger Road and adjacent to Mud Creek Park. Park Place is a brand new Texas Homes development located on Jones Maltsberger Road and adjacent to Mud Creek Park. Close to Redland Road & Loop 1604, Park Place presents a rare opportunity to own a new home inside of Loop 1604. An enclave community offering 32 heavily treed home sites, a pocket park, trailhead with direct park access and over half the lots backing the park or open space. Great care was taken in developing the community to preserve trees and the natural beauty of the land. Park Place will offer floor plans from 1977 square feet to 3218 square feet. Homes will feature open floor plans and outdoor living areas that lend themselves to entertaining guests. 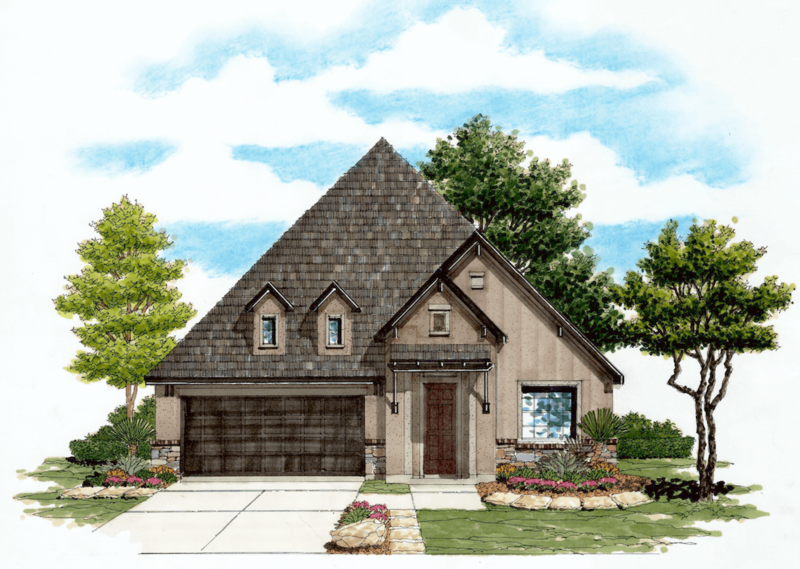 Texas Homes floor plan development process, furniture planning, and custom design options ensure that we will have a home that meets your needs and desires. You will be able to personalize your new home at our award winning Design Center. With the help of our professional design center professional you will be able to choose from thousands of color and style selections for flooring, cabinetry, lighting, fixtures and more. The community adjoins Mud Creek park to the North & East. The park amenities include a picnic area 1.4 mile walking trail and bicycle path. Park Place is served by the award winning North East Independent School District and Great Hearts Northern Oaks.